I imagine there are many readers who came to the work of William Gibson long after he had made a name for himself, only to be disappointed. The hype did not match the fiction. And yet for those readers, I would guess the stories linger longer than they expected. Some fundamental understanding, some raw human relationship to technology and culture was present in Gibson’s novels in ways they may not have consciously realized. 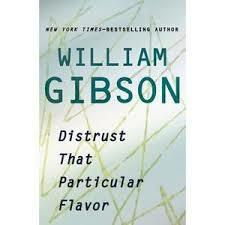 Bringing that understanding to the surface is Gibson’s 2012 collection of non-fiction Distrust That Particular Flavor. A myriad, Distrust That Particular Flavor delivers a wide-wide variety of writing. Not only essays, the book likewise collects speeches, magazine articles, newspaper copy, interviews, autobiography, book introductions, travel pieces—all from such disparate sources as Wired, The Observer, Forbes, Rolling Stone, New York Times Magazine, The Whole Earth Catalog, and many others. Covering a span of approximately sixteen years, the twenty-six pieces of non-fiction are all short yet profound in some fashion; the quiet intelligence and insight into human existence underlying Gibson’s novels is here openly revealed for what readers have suspected all along. Setting is one of the foundational stones in any fictional wall, yet there are times that authors create places so malleable and adaptable as to be perpetually open to further creation. Epic fantasy worlds have, of course, spawned innumerable volumes, not to mention a hero or set of characters have propelled many a series into multiple volumes. But like arrows shot into an apple tossed into the sky, what we’re talking specifically about here are places where individual stories have been told and completed, only for the author to return some time later and tell a entirely separate tale. Different characters, different themes, some classic examples include Michael Bishop’s Catacomb Years, M. John Harrison’s Viriconium books, Ursula Le Guin’s Earthsea, Ian Macleod’s Aether stories, China Mieville’s Bas-Lag, Ray Bradbury’s The Martian Chronicles, Jeff Vandermeer’s Ambergris works, Thomas Disch’s 334, and essentially anything by William Gibson. 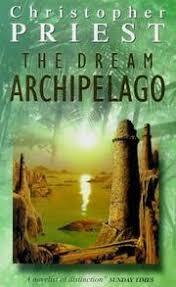 To this list of quality fiction we must certainly add Christopher Priest’s The Dream Archipelago. A twenty year gap, the stories in The Dream Archipelago were all published individually between 1978 and 1980 yet were not collected (in English) until 1999. (The French, in their infinite wisdom, collected the stories in 1981.) In honor of the English publication, Priest wrote a fictional introduction. More scene than story, “The Equatorial Moment” describes an airman’s experience as he crosses over a horizon point in the dream archipelago. Priest deploying his powers of description subtly, it belays the leaving behind of the real world and sets the stage for further revelatory experiences. Longer review: Writing reviews means a few things more than pure reading for pleasure. One of the primary differences is: to finish or not to finish? For pleasure, a person can simply abandon a book when it no longer pleases them. For a blog, there is a certain sense of obligation to push on to have the complete view for a complete review; it’s difficult to write an opinion about a whole if only a piece is known. 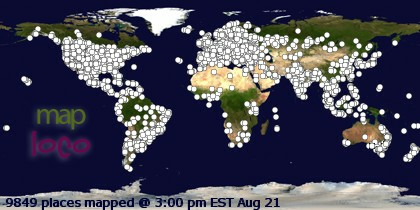 It thus happens that reading can sometimes become a chore for a blogger. 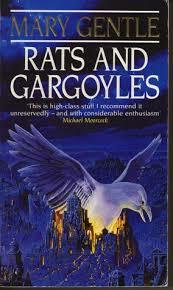 Such is my experience with Mary Gentle’s Rats and Gargoyles (1999). There are several writers in the world who I am familiar with their name, and given particular reviews, feel instinctively that I would like, perhaps even love, only for one reason or another I still have not gotten around to reading them. Graham Joyce was always one such writer. Respected by other authors whose work I admire and reviewed highly by more sophisticated readership, he remained unread for reasons only the gods can perceive. 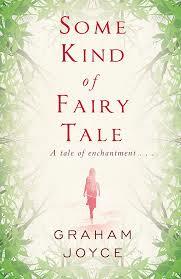 That is, until now: Some Kind of Fairy Tale (2012) has been read, and it’s easy to say, my instincts regarding Joyce have been utterly and thoroughly vetted. 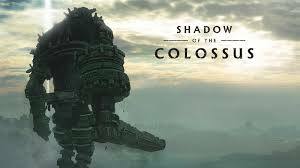 Firstly, Shadow of the Colossus, if nothing else, deserves recognition for daring to walk its own road, and as a result be an inimitable game. Where most action-adventures feature a cycle of gun/sword combat, followed by a boss battle, followed by exploration/puzzle sections where players must find their way to the next gun/sword fight, SotC bucks this trend. Combining all those aspects into one, the game is simply sixteen boss battles, each of which presents its own set of puzzley-combat difficulties in a variety of environments. Set in a decaying land of craggy mountains and open fields, deep lakes and stony cliffs, ruined temples and blowing deserts, players start the game as Wander, a young man on a quest to revive a girl named Mono who was killed for being cursed. Wander’s only companion his horse Agro, he arrives at the Temple of the Kormin where he learns in order to resurrect Mono, he must take down sixteen colossi hidden in the surrounding mountains. The catch is, he must be prepared to sacrifice something, himself. If there is anything we have an evolving relationship with in life it is time. Small children essentially ignorant of the concept and the elderly perhaps all too aware, our perception of time changes throughout our lives. Sometimes by sub-conscious degree and other times as the result of dramatic events, who we are—our identities—are closely linked to our understanding and relationship with the clock. (How was that for a Proustian review intro?) 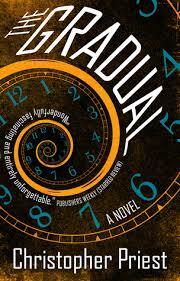 Engaging with this evolution in highly intriguing fashion is Christopher Priest’s 2016 The Gradual. Alessandro Suskind has the misfortune of being born in the country of Glaund. A totalitarian, oppressive country persistently at war, many of its best sons are whisked away in the military draft, including his brother, Jacj, and never seen again. Due to a lull in the fighting, when Alessandro comes of age he avoids a similar fate and is able to develop his true passions in life, music and composing. Finishing university and getting his feet wet in the field at an early age, it isn’t long before he has some success. Publishing a couple of minor symphony and orchestral arrangements, his name becomes known even beyond Glaund. Asked one day to participate in a ten-week musical tour to a group of neighboring islands, Alessandro gets his first taste of life outside his oppressive Glaund and sees for himself the Dream Archipelago—the far off inspiration for some of his music. His troubles immediately set in, however, upon his return: his wristwatch not matching Glaund time, Suskind has a few pieces of his life to pick up. 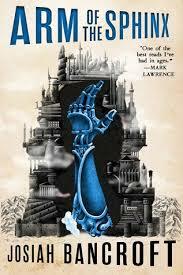 Josiah Bancroft’s Senlin Ascends was a delightful debut novel. Full of warmth and adventure, it borrowed a few tropes from steampunk but made its own world: a massive, bizarre tower featuring ringdoms of differing cultures and peoples. Bancroft generating the warmth through one man’s quest to find his lost wife amid the tower’s ringdoms, as well as the simple yet charming sense of the surreal imbuing the search, getting swallowed in Thomas Senlin’s quest was easy enough. Ending with his wife Marya still out of reach, Arm of the Sphinx (2015) picks up where the first left off, continuing Senlin’s search. I am a gamer who loves seeing the popularity of indie games rise, or, from another perspective, the production of small-developer games persist. Experiences that hearken back to yesteryear gaming while offering gameplay that is potentially as exciting and engaging as the big AAA titles on today’s market, yes, pixel-art and other such visually simple games can be just as viable and enjoyable as games which maximize the technical possibilities of modern consoles with massive budgets and development teams. At times, they can even be better. I find games like Inside and Soma offer something more intelligent and sophisticated than games like Uncharted or Tomb Raider: Definitive Edition despite the significant gap in development budget. 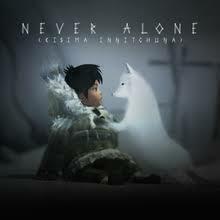 Recently playing Never Alone (Kisima Ingitchuna) from Upper One Games (2016) and its expansion “Foxtales” only confirms this belief. At heart a side-scrolling, 2D puzzle platformer, in Never Alone players take control of the Inupiaq girl Nuna, and a white fox who comes to her aid, as she tries to stop a raging blizzard that is tearing her Arctic village to pieces. Forced to help each other traverse the tricky terrain, Nuna and the fox navigate a variety of obstacles and traps with the help of Inupiaq spirits. Never Alone can be played solo, switching between Nuna and the fox, or co-op with one player controlling Nuna and the other, the fox. Teamwork between the two required, it’s impossible to complete Never Alone with just one character.